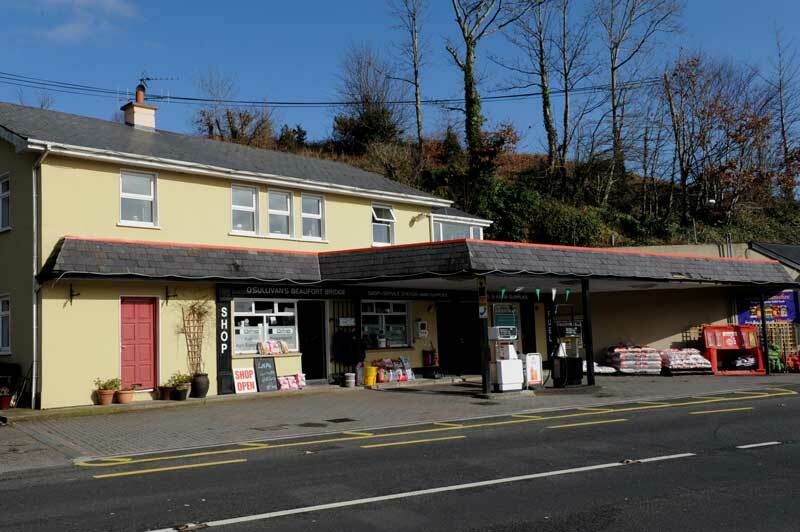 O’Sullivan Beaufort Bridge Shop is a family run shop, service station and hardware business situated on the N72 at the bridge over the River Laune, which is the gateway to the majestic McGillyciddy Reeks and Gap of Dunloe. We also provide fishing information, fishing permits and have an adjoining seated picnic area on the river bank . We are open 7 days a week.